Disney has released a photo of actor Mark Hamill posing with Jedi Mickey – both with lightsabers in hand. 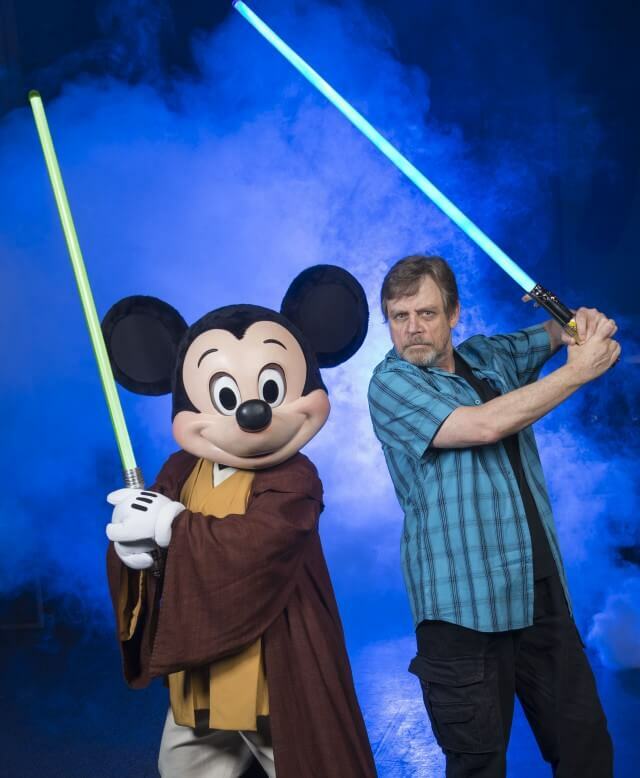 Hamill, of course, portrayed Luke Skywalker in the “Star Wars” films and will be appearing June 6-8 at Star Wars Weekends at Disney’s Hollywood Studios, the first time he has attended the event in its 17-year history. Awesome grip. Any random kindergarten kid can disarm them both within 2-3 seconds and a wooden stick. Thanks for reminding me why I dislike Star Wars. Well, we know why we dislike you. Go back to being a troll. You troll… It looks awesome!!! El Douchesidente….You…stink. Do humanity a favor, and buy a shotgun with a toe pull. Great photo! And to the gentlemen who commented first, it’s a staged photo meant to draw interest, not a lesson in tactical weapon fighting. Your comment is very weird.